 These professional grade towing v-bridles include oversized 3/4" pear master rings, certified towing J-hooks and vehicle frame hooks, and thick industrial grade webbing. Vulcan Classic assemblies contain yellow sling or tie down webbing. Vulcan Silver Series assemblies have silver webbing and a distinctive orange stripe down the sides. VULCAN PROSeries® Grade 70 bridles are designed for heavier loads. They include extra-thick Optic Orange Scuff Edge II™ webbing, which is 67% more abrasion-resistant, and 30% more resistant to edge cutting than standard webbing. DuPont™ Hytrel™ edges, D-rings and cordura wear pads at the bottoms of the legs reduce webbing wear. All hooks are attached with factory welded alloy coupling links for long life additional reach.